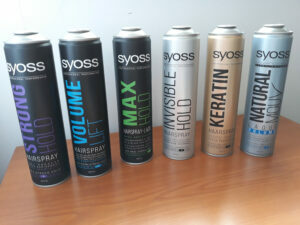 Colep, an RAR Group company, has collaborated with Henkel to create Light Weight Cans for Syoss, Indola, Silhouette, Coiffeur and Rilken hair styling brands, which reduces the thickness of the aerosols by 22% using a double reduction tin plate material that is harder yet thinner and a new seaming station. The new packaging solution uses less materials, energy and water, and is 18% lighter in weight, Colep said. The Light Weight Can, currently made in 400ml and 500ml sizes, helps to meet Colep’s corporate sustainability goals by saving up to 1,000 tons of carbon dioxide per year.